I first fell in love with teahouses in Barcelona, at a teahouse called Čaj Chai, which was founded by some Czech immigrants to the city. 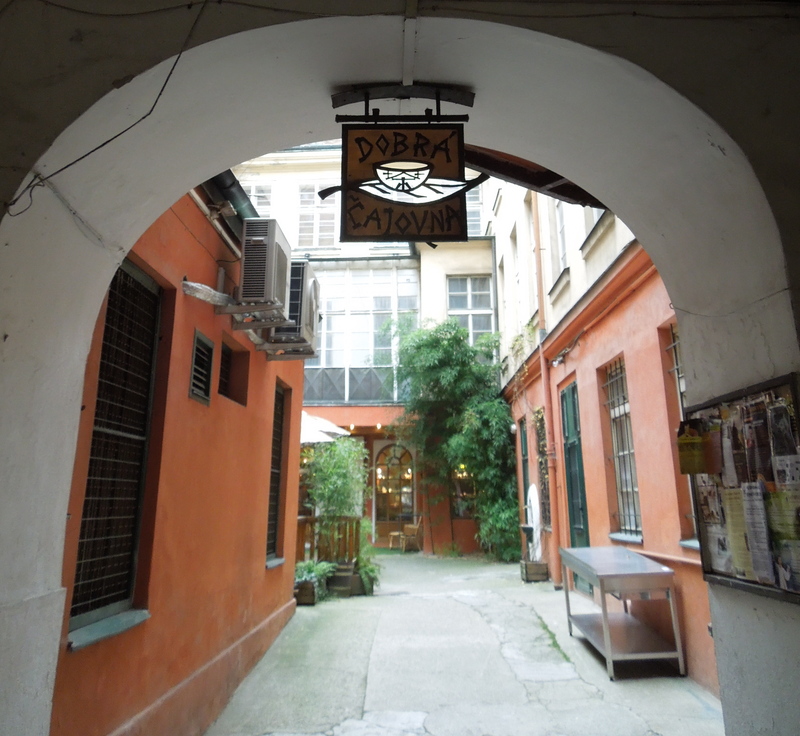 I have written, and waxed poetic, and gushed about this teahouse before, and I will do so again, but for now I want to tell you about a teahouse in Prague called Dobrá Čajovna, which I was pleased to stumble upon. It was so good, I went twice over the course of my five days in Prague. When I found it, I was surprised–an Asian-style teahouse in the Czech Republic? Apparently this isn’t at all an unusual thing. 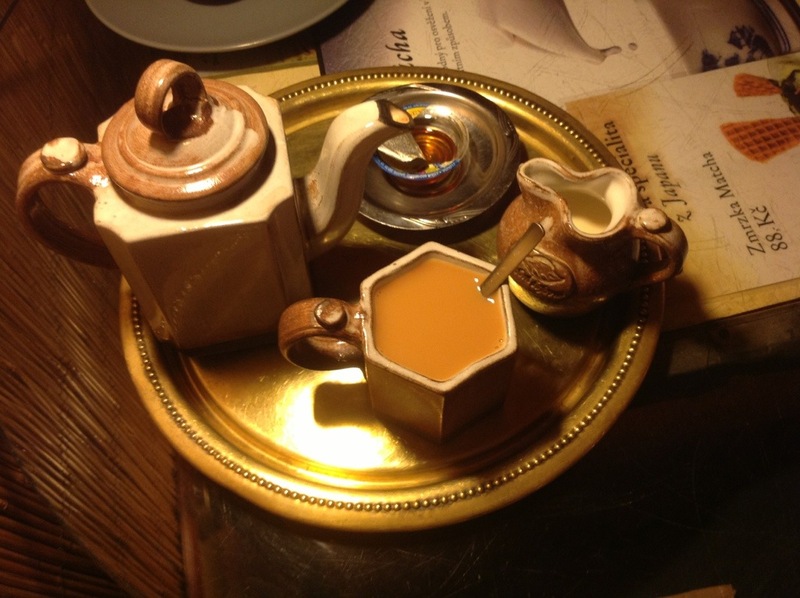 The teahouse in Barcelona that I so loved, was called Čaj Chai because “čaj” means “tea” in Czech. The Czechs were exporting their love of tea abroad, so why wouldn’t they be enjoying it at home as well? The first time I visited, I ordered a mixed tea blend called the Boston Tea Party. I was drawn in by the cutesy name, and how could I resist after living in Boston for four years? The blend was a mix of black and green teas akin to the ones that were dumped into Boston harbor during the US Revolutionary War. On my second visit, I enjoyed the Yogi Tea Blend, which came with honey and milk, and I also ordered a snack of pita bread and hummus. 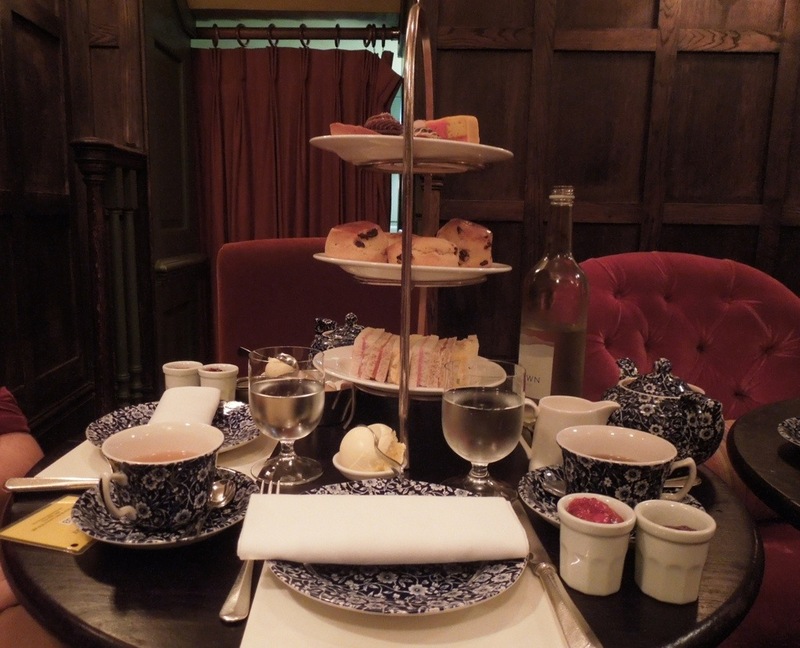 The tea was consistently good, and the atmosphere was relaxed and homey. There was even a small section of the teahouse where patrons removed their shoes and sat on cushions at low tables. Possibly the most interesting thing about Dobrá Čajovna is that it’s a franchise. 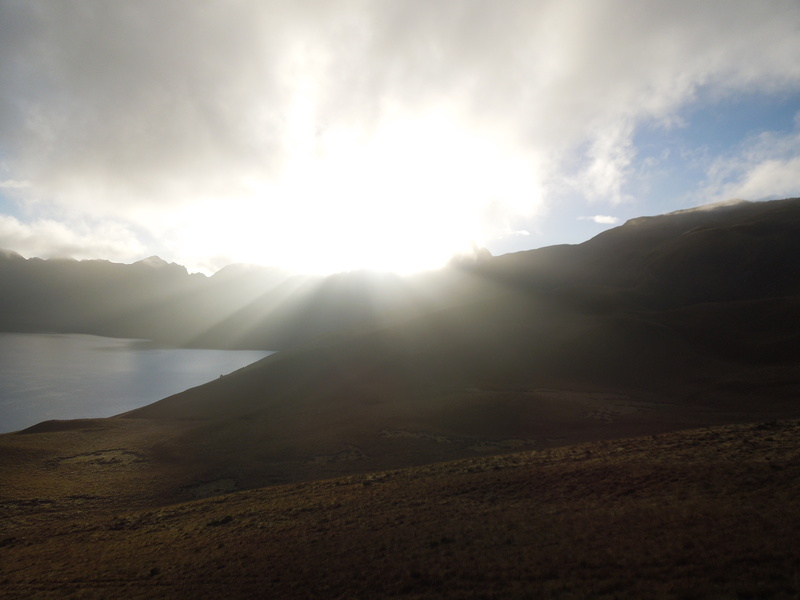 As I was writing this post I decided to google the teahouse and see if they had a website. I expected that this small teahouse off Wenceslas Square was a clever find on my part, but it turns out it’s a chain that extends the world over! The wikipedia article on this teahouse says it was founded by a group of tea lovers who would meet secretly during the Communist era to sample illegally imported teas. How cool is that?! Dobrá Čajovna’s website is www.tea.cz–their URL is literally the Czech equivalent of tea.com! And, most importantly, if you want to sample their teas for yourself they have four locations in the US–Burlington, Vermont; Madison, Wisconsin; Portland, Maine; and Asheville, North Carolina. I was amazed to realize that I’ve been to all of these cities except Madison, and I think I’ve even walked past the Dobra Teahouse in Burlington. If you’re not based in the US, there are locations in most big or touristy cities in the Czech Republic, as well as in Budapest, Hungary, Krakow, Poland, and Bratislava, Slovakia. So, what are you waiting for? Happy Tea Drinking! I can definitely agree with you that the Good Tearoom is an excellent place for a cup of tea and conversation. I live in Brno and visit them here fairly regularly. I forgot to mention that “Dobrá Čajovna” translates to “Good Tearoom.” Thanks for reminding me, and I’m glad you like it there too! 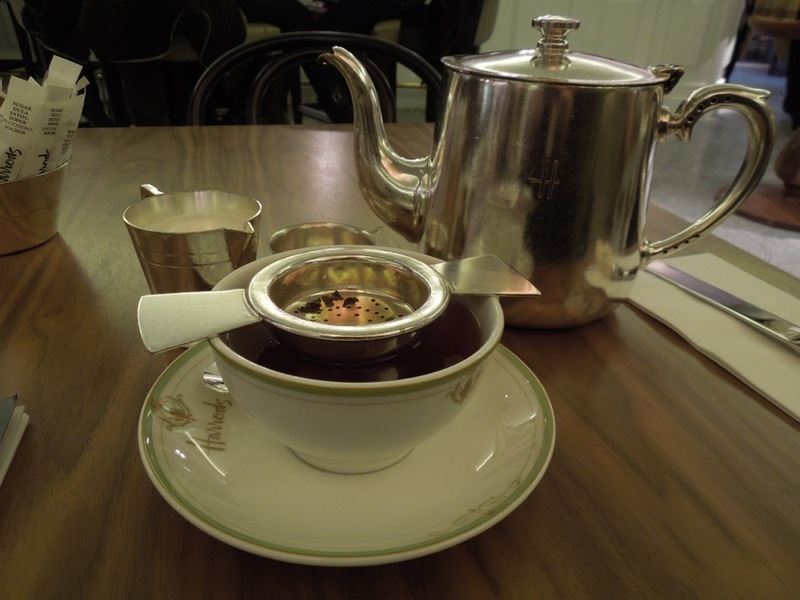 My favorite place to go for Tea; in fact we have more beautiful Tearooms in Prague that do not belong to Dobra chain. But “Dobra” is the first and most famous :-). I heard there were more tearooms, but only managed to visit Dobra. I guess I’ll just have to go back to Prague someday!